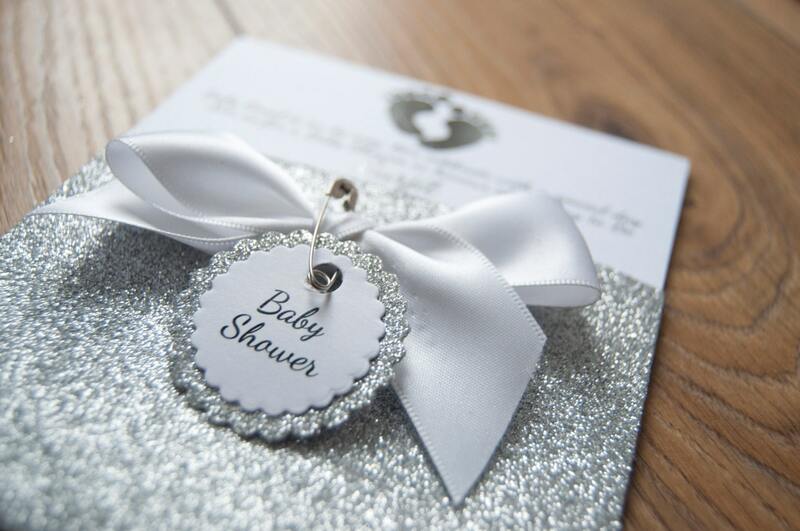 Each handmade baby nappy/diaper invitation is die cut in to shape and is finished off with ribbon and a tag. 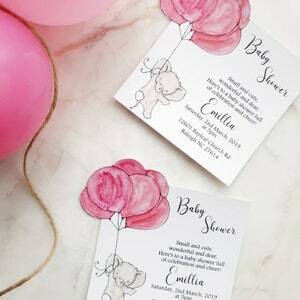 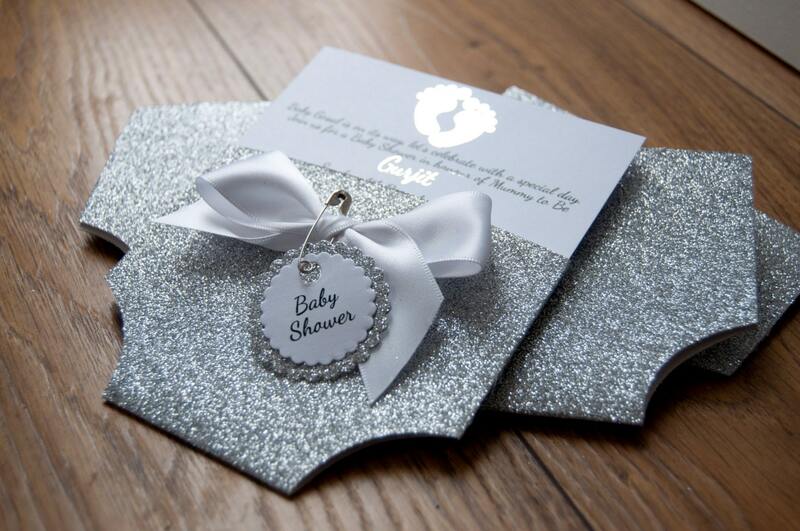 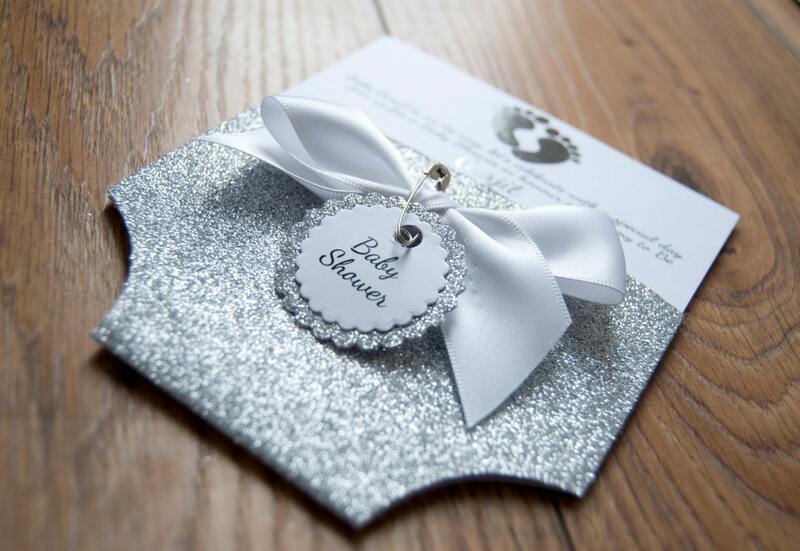 The information is printed on white card, to make these baby shower invites extra special the baby feet and mummy to be's name will be be foiled in silver. 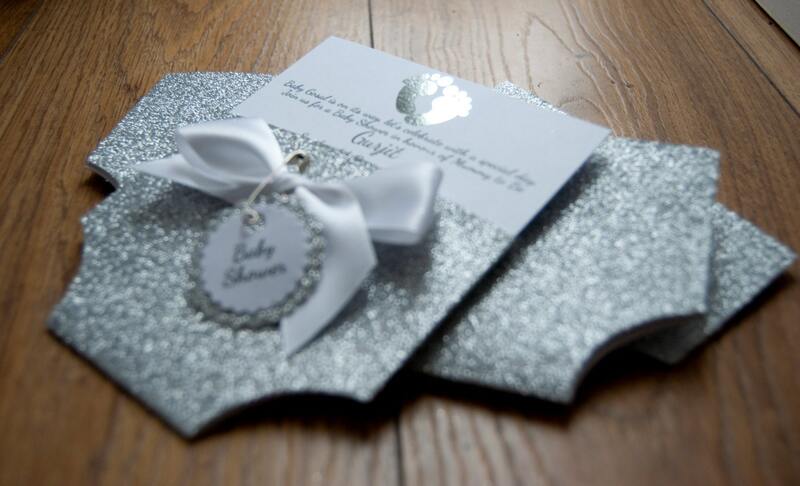 This also comes with envelop white.